and several digital elements, but the primary aim is inspiring consumers to use the product to build their own Christmas using Lego bricks. 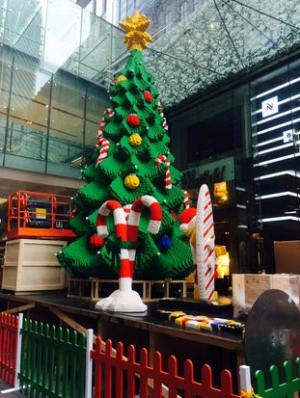 In keeping with the theme, the crux of the campaign is a 10m tall Lego Christmas tree- containing half a million Lego bricks- to be unveiled by the City of Sydney at Pitt Street Mall on Thursday (Nov 27). Speaking to AdNews, Lego marketing director Troy Taylor said the focus on branding, rather than specific products is a firm departure for Lego. However Taylor, who moved into the top marketing role in July, said it's something he wants to focus on. “We wanted to drive more of a localised and a brand focused agenda - really creating memorable experiences for kids,” Taylor said. The campaign will also include social media elements, including one which aims to inspire kids to make their own Lego creations and upload photos using the hashtag #legochristmas. Another will be the Lego Advent Calender which will count day each day to Christmas on Lego's Facebook page. Lego isn't the only brand to move from product push to bigger branding over Christmas this year. Campaigns from David Jones and Myer also focusing on Christmas as an experience. Taylor said this reflects the changing touch points that consumers have with brands. 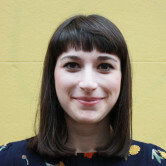 “People are bombarded with so much the media landscape is saturated now with price, promotion,” Taylor said. In a very digital world, Lego is shunning convention and focusing on the tactile, with its latest campaign centred around the idea of getting “bricks in hand.” The brand is switching the focus of its marketing in Australia away product to branding. The 'Build Your Lego Christmas' campaign includes the brand's first ever Australian television ad and several digital elements, but the primary aim is inspiring consumers to use the product to build their own Christmas using Lego bricks.